Does Beachbody Master’s Hammer and Chisel Really Work? 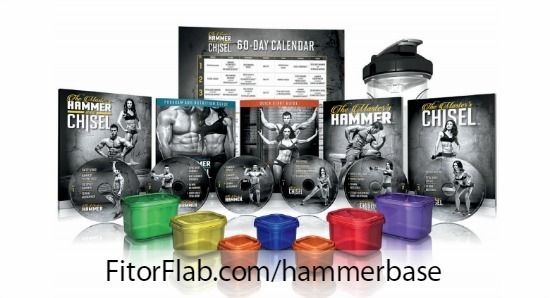 The new Beachbody fitness program, Master’s Hammer and Chisel will be available for purchase on December 1, 2015! I can’t wait. I’ve already done two of the workouts: ISO Speed Hammer and Total Body Chisel. You may be wondering: does the Master’s Hammer and Chisel really work to redefine your physique in 60 days? Using stabilization, strength and power, Hammer and Chisel was created with resistance training techniques. I can tell you after doing just two of the workouts consistently, I’m already seeing some results! Expert trainers, Sagi Kalev and Autumn Calabrese, bring their years of knowledge and experience as the creators of this new, innovative Beachbody workout! When will the Master’s Hammer and Chisel be Available? 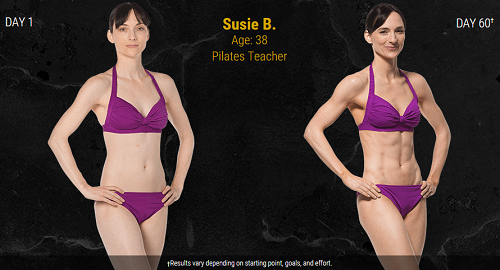 You should definitely try the two workouts available now in Beachbody on Demand. Click here to grab your 30-day free Club membership to get access! The test group for Hammer and Chisel got great results for weight loss and getting ripped! Check out this before and after photos! Susie got ripped with Hammer and Chisel! What’s included with the Hammer and Chisel Base kit? What’s included in The Master’s Hammer and Chisel Deluxe Kit? 4 advanced workouts designed around the medicine ball. Ready to get the defined body you always wanted? Beachbody’s Master’s Hammer and Chisel workout really works! Imagine getting incredible results in just 60 days? I can wait to do all the workouts! CLICK HERE now to get streaming access to two Hammer and Chisel workouts now – free for your first 30 days!